When it comes to fixed mortgage rates in Ireland there is a little confusion, the first being about ‘whether to fix or not’ and secondly, if by doing so will you lose out should Irish lenders choose to lower their mortgage rates. The simple answer is that if you fix your mortgage you may win or lose depending on what rates do, but that is missing the point of why you fix to begin with. It provides you with certainty of payments and often there is a premium due because of this, in simple terms, you pay a bit more for the ‘fixed’ assurance. 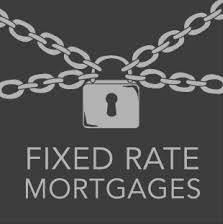 Below is a list of some of the best fixed rates in Ireland as well as who offers them. These are ‘tiered variable rates’ meanining you have to have a low loan to value or ‘LTV’ (that your mortgage is small relative to the value of the property) and they rise the bigger your LTV, but the main thing to realise is that irrespective of what happens with variable rates, that these prices – all things considered – look good presently, the question is, how good will they look tomorrow?